It has been another fantastic week of fun with the children learning about Diwali, hunting for dinosaur eggs and measuring the height of different towers. As we have been learning about Diwali, the children have each made a Diwali lamp out of clay. 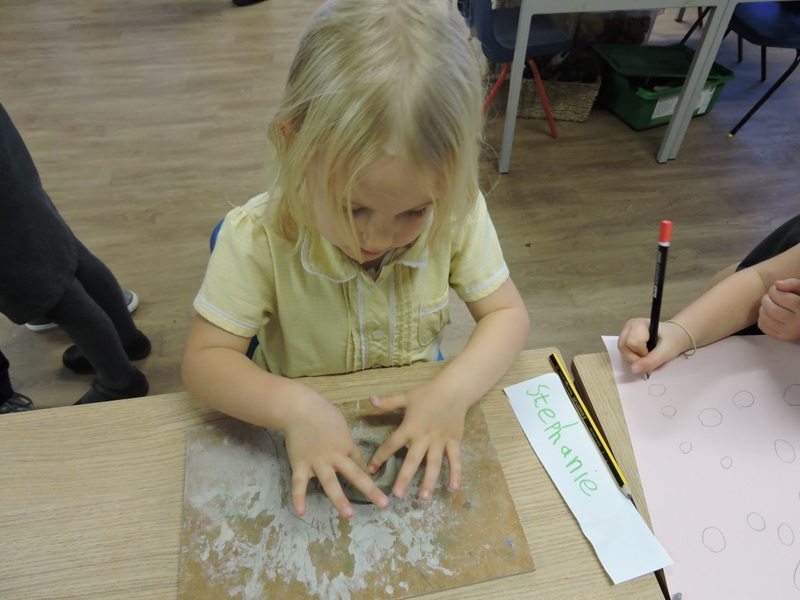 Whilst making their ‘divas’, the children have used their sensory experiences and imagination, and have explored the limitations and possibilities of using clay. They have enjoyed being messy and are looking forward to decorating them with their Year 2 buddies on Friday! Towards the end of last week, the children met up with their pals from Year 2. This was very exciting as they got to play alongside their new friends in our garden. We hope you have a relaxing break and we look forward to seeing you in the new term!